Remember those early credit card ads that were targeted to men only? One need only look at the AMC television series, Mad Men, to understand the mentality of the American business model in the 1960s. For instance, one of American Express’ most profitable marketing campaigns was targeted towards businessmen who traveled often. One of its tag lines was actually, “Away on business, but miss your wife?” It touted business trips as lonesome, but it then sold itself as being the one cure-all for the lonesome traveling businessman. Ah, those were the days…or so we’ve heard. During this time frame – and it’s hard to believe – but the average minimum credit line was $5,000 and while there were perks, the idea of rewards programs hadn’t yet been born in some great financial mind. There was, however, the birth of the gold card; after all, gold symbolizes wealth and prestige. It wasn’t until the late 1970s that the focus shifted from a more prestigious stance and instead focused on financial value. By the time the 1990s arrived, another shift had occurred, courtesy of competition in the credit card sector, that focused on those beloved rewards and perks we know today. 2004 was a stellar year for the credit card companies. This was before the mortgage meltdown and devastating recession most are still pulling out of. Credit card offers were being mailed in droves with impressive 0% APR, airline travel rewards and even sweepstakes that included scratch off cards. This was indeed a record breaking year with more than 5 billion credit card offers mailed out that year. On average, Americans received 6 credit card offers every month and of those, less than one percent actually were pursued by consumers. It’s a wonder credit card companies didn’t go belly up with those kinds of numbers. Ah, but then began the really heavy online marketing. It was cost effective, didn’t result in so much paper and postage being used and it allowed banks and credit card companies to really hone in on those consumers that would actually apply for and gain approval for their financial products. These companies also were able to focus more on their advertising campaigns – about $5 billion spent in 2004 alone. But how did credit card companies choose who they would market to before the three credit bureaus were founded? Turns out, banks and the card networks used attributes via public records, new mortgages and even marriage licenses. These were those who were “predisposed to obtain credit”. It was costly then, too. A direct mail campaign cost on average $80 for every new customer those campaigns resulted in. Now, though, and for the past decade, the focus has shifted significantly. While the goal is always to market to those who would actually qualify for a credit card, banks have also had to take into consideration fraud protection and online protection for its consumers. This, coupled with growing disdain of consumers for their “too big to fail” bank mindsets has resulted in an even deeper shift towards “playing nice” with would be customers. It’s a fine line they walk. Human nature dictates we are drawn to prestige, so the financial entities must possess that value of being privileged, but it mustn’t cross the line to the point it alienates would be customers they’re marketing to. These dynamics – better marketing and fraud control – have to be priority, otherwise, the banks or networks become irrelevant in the eyes of the consumer. Determining who to market to used to be the biggest challenge for advertising campaigns. Even that has shifted in the past decade. These days, market determination must include certain demographics. For instance, American Express designed its Blue Card for a younger market; one that’s tech savvy, on their way of becoming wealthy and living in preferred regions of the country. Then there are the visuals. The translucent cards and black cards (think Visa Black) suggest a modern cardholder possesses it. Some call them “snob cards” and that’s even better for many of those who possess them. The idea of around the clock concierge service, private jets and other perks are more than impressive for these cardholders – and many don’t even travel; it’s the idea that they could do so on a whim that make them so attractive. Soon, though, and it was eventually going to happen, the market became saturated. Enter the subprime consumer. The industry saw those consumers as less creditworthy. They may have been young with no credit established or perhaps they had run into financial difficulties at some point that resulted in hits to their credit ratings. Soon, credit card offers came and two sectors began growing: the prepaid debit card, which really isn’t a credit card at all, and the secured credit card, which allowed consumers to improve their credit ratings with a major credit card, provided they were willing to put up a savings account equal to their credit line. The goal was to transition those consumers who picked up the pieces and rebuilt their credit from a secured dynamic into a more traditional credit card account. And then – there were the college students. Of course, we now know that was a huge catastrophe; so much so that new laws were passed during President Obama’s first four years that prohibits credit card companies to market to college students. Still, hundreds of thousands of college graduates begin their adult lives not only with student loan debt, but with credit card debt as well. And in a tough job market, in many ways, there’s a perfect storm that’s quietly building across the nation. So much focus is on other near-disasters, including fiscal cliff, that there’s not a lot of focus on what has the potential to be a massive problem that will affect Americans for many years. Not only that, but as strong as the laws are, there are still ways many college students and the credit card companies as well are getting around them. 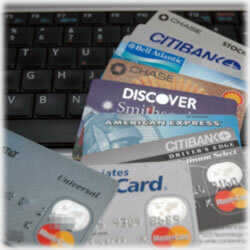 The credit card industry has become a powerhouse in the American financial sector. Credit is a necessity in a modern society and as the needs of those consumers and technology evolve, the day that plastic credit cards are no longer necessary is quickly approaching as more of us begin using our smartphones as our wallets.